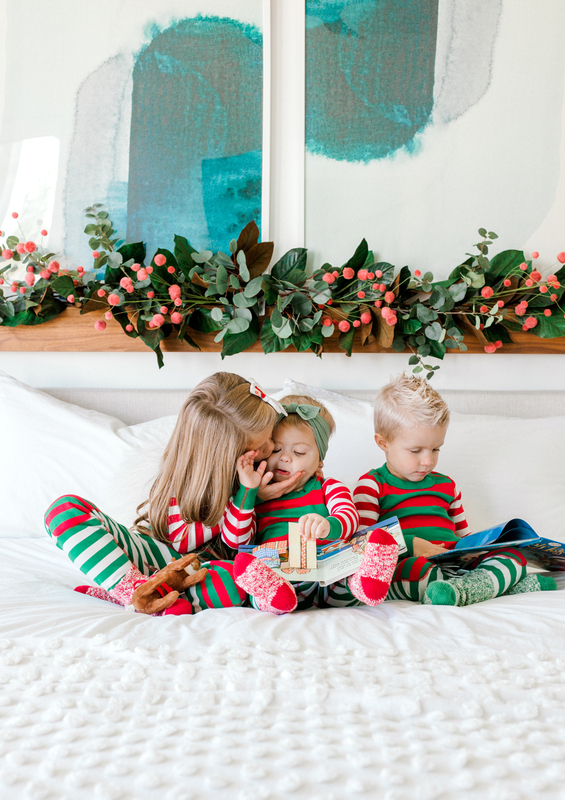 When it comes to the holiday season, I am obsessed with creating and continuing on little traditions with my people. Something about having something to look forward that leaves that memory with them means so much to me. When we first started our little family and it was just Joe, Hunter, and I, I wanted to start something to help me feel a little less home sick. I’m sure you’ve all heard of the very common Christmas tradition of getting pajamas on Christmas Eve. 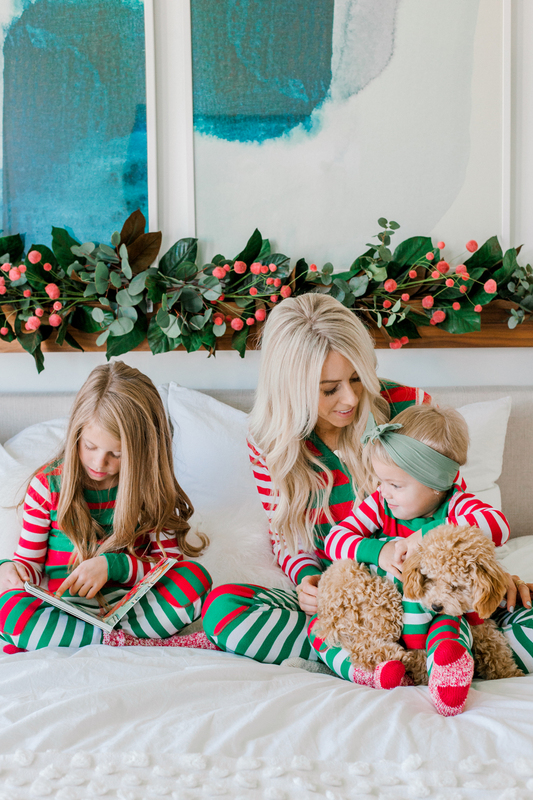 I love pajamas and thought it was the sweetest tradition, but put my own spin on it and we have loved it alllll these years later! While I loved the idea behind the tradition, I didn’t love the timing. 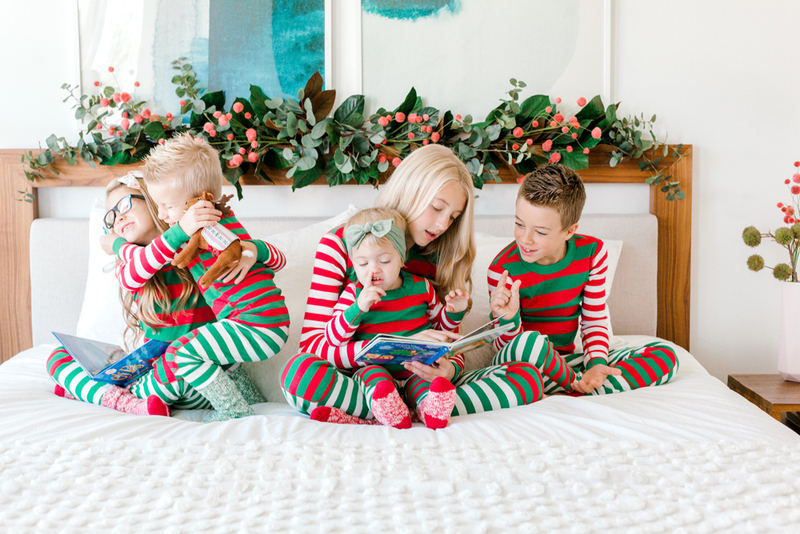 I am a sucker for the cute very Christmasy MATCHING pajamas. So you can see my problem with the timing. 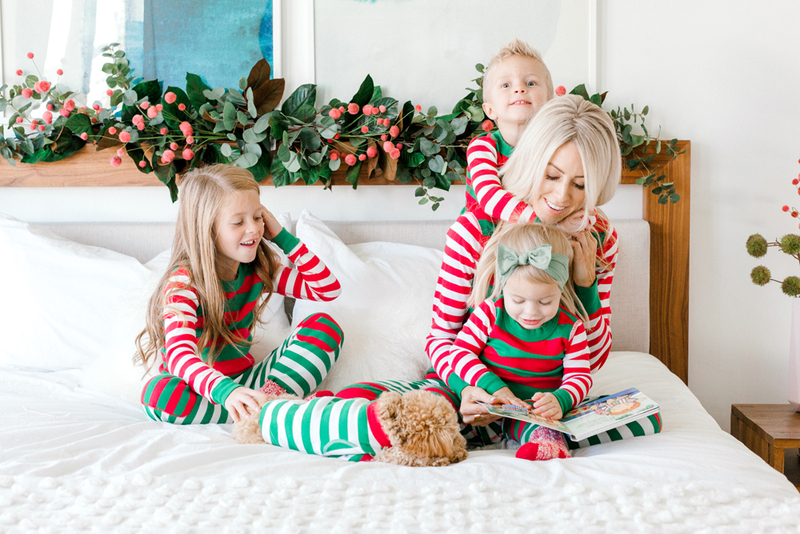 I wanted to be able to sport our cute pajamas all season long! So we had the idea to open our pajamas on Thanksgiving night instead! It has become one of our very favorite traditions for 12 years now! I’ve been able to find so many cute options over the years, and almost all of them are from Hanna Andersson. You guys, when it comes to matching (holiday or not) they just can’t be beat!! And they have adult sizes too, so you can make it a family affair. You KNOW Joe loves that! Haha! So today I thought I’d round up my favorites I’ve seen this year in case you want to start your own fun tradition too! 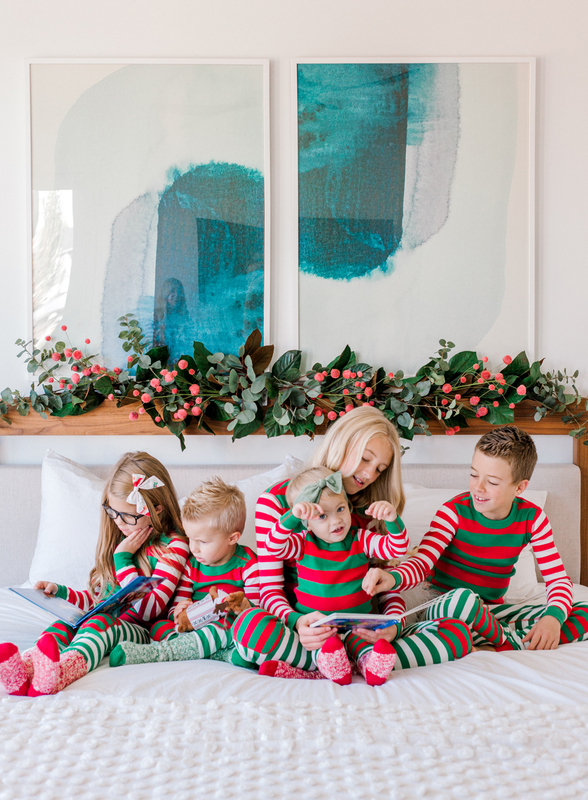 With my love for family traditions, I’d love to add some more! So share your favorites with me here or over on Instagram too!! That way everyone can see all your ideas!! Also thanks so much for being here + make sure to check back for all the best GIFT GUIDES for all your people!! 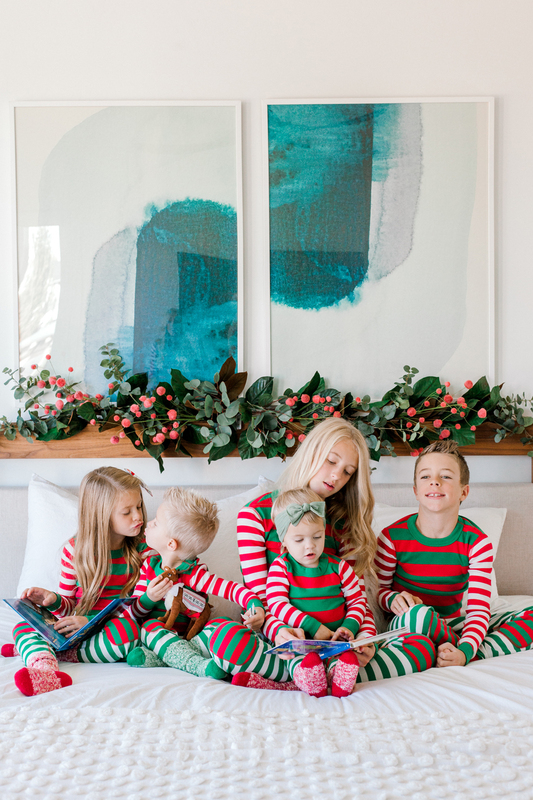 We love matching pajamas in our house too! Such a fun Tradition. Do you mind sharing what size your art work is?